In the 2000’s the concept of nutrient timing and pre and post workout meals were a very hot topics. Research studies on nutrient timing uncovered information which suggested that when exercisers ate might be almost as important as what they ate. These research studies did discover some interesting information. However, they have some weakness that made them less relevant to the average exerciser than originally thought. Unless you are an elite athlete, or endurance competitor, nutrient timing as it relates to your workout is not nearly as important or complex as we once thought. For those of use who exercise to stay lean, healthy and energetic nutrient timing is simple. By following a few basic guidelines you can use your pre and post workout meals as a tool to help you look and feel your best. It is a good idea to eat a meal one to three hours before you exercise. Eating will ensure you have the energy to perform your best during your workout. If you eat two to three hours before your workout a standard healthy meal is a good choice. A full meal 2-3 hours before your workout should include a serving of a protein rich food, a serving of vegetables, a serving of healthy carbs like whole grains, and some healthy fat like olive oil or nuts. A proper serving size will vary depending on your size and activity level. A 200 pound fire fighter will need more protein than a 12o pound accountant. If you prefer to eat just before you start exercising (an hour or less before) you may want to make a pre-workout smoothie. 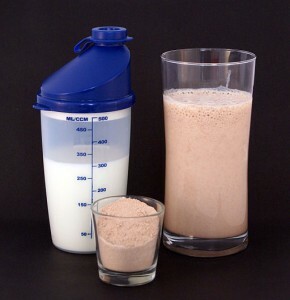 A good pre-workout smoothie should include a scoop or two of protein powder, a serving of veggies, a serving of fruit, some healthy fat like a tablespoon of peanut butter or flaxseeds, and a low-calorie beverage like water or almond milk. Make sure you stay hydrated during exercise. All you need is water. For years fitness experts concerned themselves with the post-workout nutrition window. Some research supported the belief that eating within an hour to 45 minutes of a workout was critical for recovery and to gain maximum benefits from the workout. This belief turned out to be not entirely accurate. It is a good idea to eat a well balanced meal one or two hours after leaving the gym. However, the average person who is exercising for good health does not need to rush home or load up on a specialized post-workout supplement shake. The guidelines for a rock solid post-worktout meal are similar to the guidelines for pre-workout meals. A full meal 1-2 hours after your workout should include a serving of a protein rich food, a serving of vegetables, a serving of healthy carbs like whole grains, and some healthy fat like olive oil or nuts. Remember, a serving size will vary depending on your size and activity level. If you don’t feel like eating after exercise you can make a smoothie instead of a meal. A post-work out smoothie should include a scoop or two of protein powder, a serving of veggies, a serving of fruit, some healthy fat like a tablespoon of peanut butter or flaxseeds, and a low-calorie beverage like water or almond milk. Remember to rehydrate! Just plain water will do. Pre and post workout nutrition is important but it does not have to be complicated. Follow these simple guidelines and pay attention to how your body responds. If you look better and feel better, you’re on the right track.